In addition to racking up good karma, Cornell has been in the epic blockbuster theme game over the past few years, contributing solo songs to Mission: Impossible II, Casino Royale, and Machine Gun Preacher, while his post-Soundgarden band Audioslave has been featured on soundtracks for Miami Vice and the Madden NFL 07 video game. 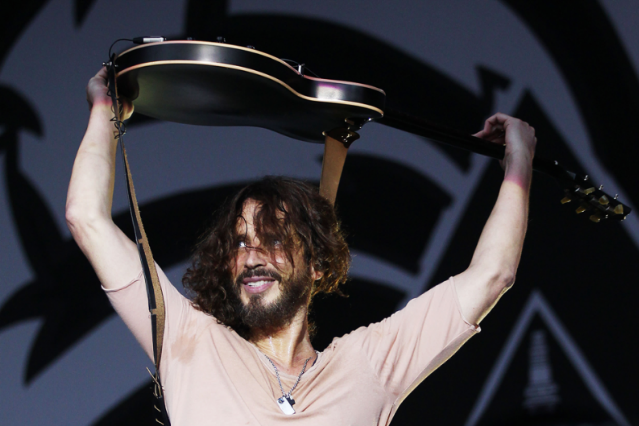 The reunited Soundgarden have been touring since last summer. In November, their game-changing song “Rusty Cage” turned 20, and Cornell chatted about its creation with us.